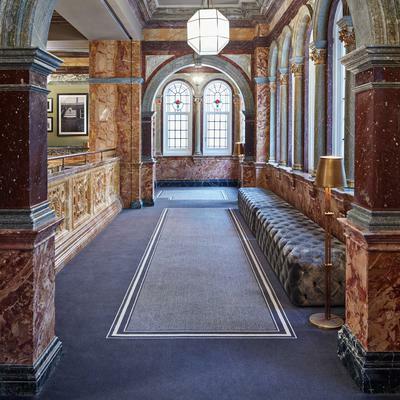 Brintons supplied carpets for key public areas within the five-star hotel Kimpton Fitzroy London (previously known as The Principal London), a Grade II listed landmark building, which dominates the eastern flank of Russell Square in Bloomsbury. 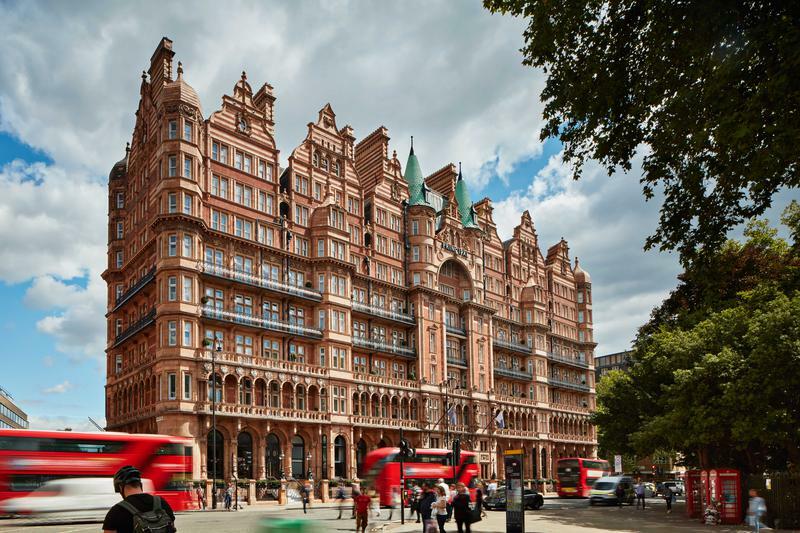 The Kimpton Fitzroy re-opened in April 2018 after undergoing a multi-million pound renovation. Brintons worked on this project alongside interior design practices Tara Bernerd & Partners and Russell Sage studio. 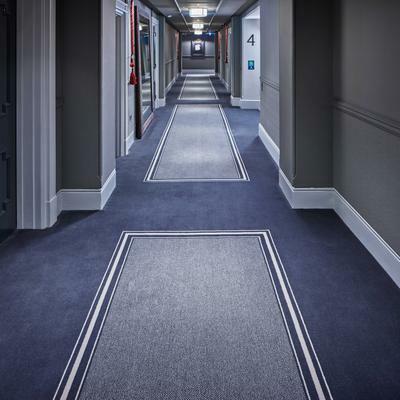 Brintons created a bespoke, contemporary carpet design for key public areas within the Kimpton Fitzroy as part of an extensive refurbishment programme. The pattern features a strong linear border, bringing a modern element that harmonises with the period of the building. The herringbone design requires an imaginative technical solution to adapt the pattern around corners. 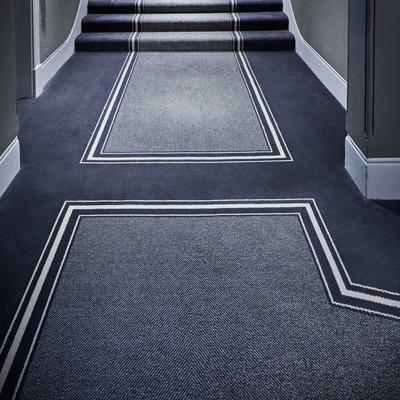 Brintons created a mitre in the carpet at each corner, to ensure that the pattern formed a cohesive and united design. The carpet features a steel grey and neutral colour palette, which complements the sophisticated and contemporary interiors. 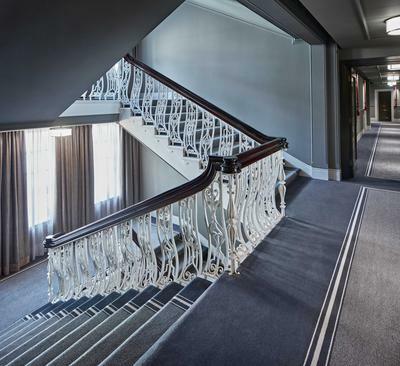 It was key that the interiors of Kimpton Fitzroy reflected the building’s history in a contemporary way. We worked with Brintons to come up with a timeless herringbone design, which they were able to adapt to the corners within the space. 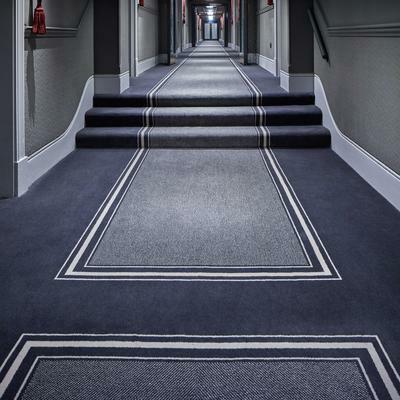 Brintons’ expertise was invaluable when transforming our design into a large-scale carpet suitable for such an impressive hotel. This renaissance-revival building features a ‘thé-au-lait’ (tea with milk) terracotta façade, which coordinates beautifully with the decorative decisions made by Tara Bernerd and Russell Sage for the interiors. The designers chose to use cream drapery with light and feathery fabrics and featured artwork that responds to the Bloomsbury neighbourhood’s artistic and literary heritage. 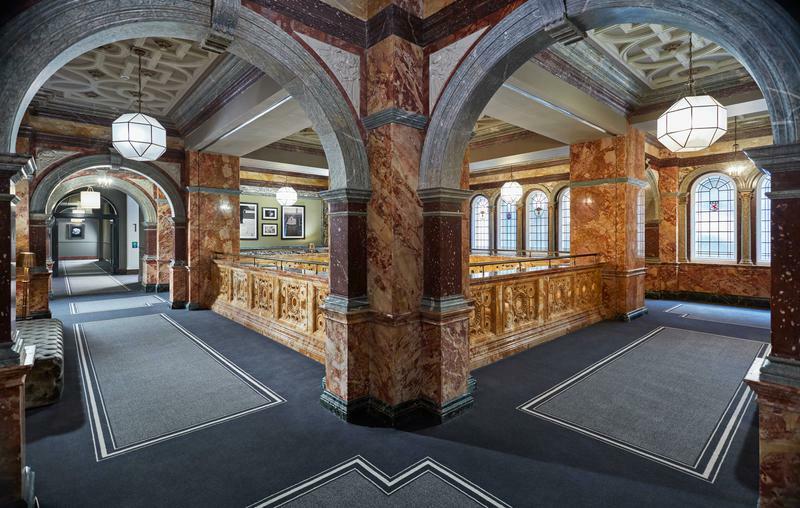 Named after the original architect of the property Charles Fitzroy Doll, who was also responsible for the design at the RMS Titanic, the grande dame was originally opened in 1898. 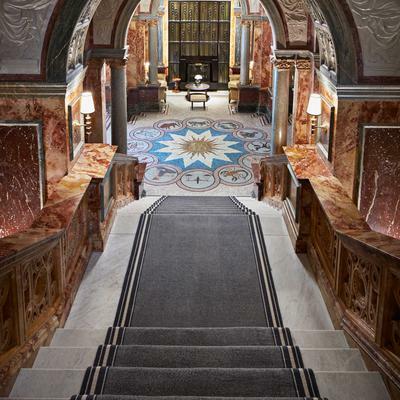 The main staircase features original 19th Century stair rods, meaning that the carpet had to be designed and manufactured to fit the existing space. 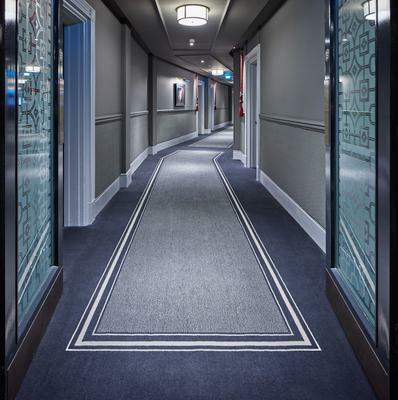 This three-year renovation, overseen by the Principal Hotel Group, has successfully maintained many stylistic elements of the hotel’s exciting past through the interior décor. 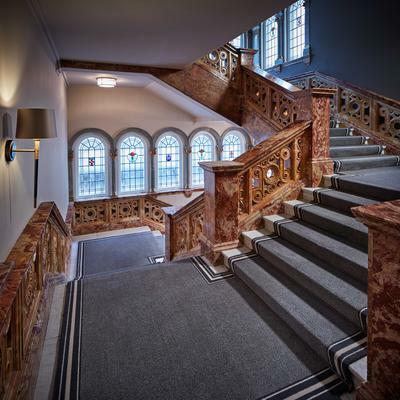 The hotel features over 300 rooms and is close to many central London destinations, including the British Museum and Lamb’s Conduit Street.